David Veale is a Consultant Psychiatrist in Cognitive Behaviour Therapy at the South London and Maudsley NHS Trust and The Priory Hospital North London, and an Honorary Senior Lecturer at the Institute of Psychiatry, King’s College London. His main research and clinical interests are in Body Dysmorphic Disorder (BDD) and Obsessive Compulsive Disorder (OCD). He is the author of four books and over 70 peer-reviewed articles. Fugen Neziroglu is a board certified behavioural/ cognitive and clinical psychologist involved in the research and treatment of anxiety disorders and obsessive compulsive spectrum disorders. She is Clinical Director of the Bio-Behavioral Institute in Great Neck, NY, USA; Adjunct Professor of Psychology at Hofstra University in Long Island, NY; and Adjunct Professor of Psychiatry at New York University. She has published over 14 books, which have been translated into various languages, and written over 150 peer reviewed articles on obsessive compulsive spectrum disorders. She is on the scientific advisory board of the International Obsessive Compulsive Disorder Foundation. Part A Knowledge and Theory of Body Dysmorphic Disorder. 1. 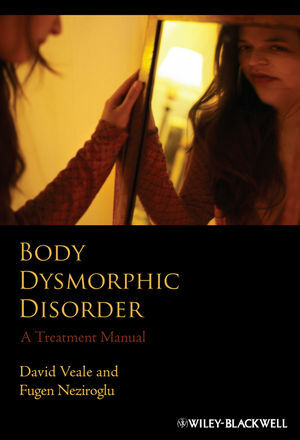 The diagnosis of body dysmorphic disorder. 2. History of body dysmorphic disorder. 3. Epidemiology and presentation of BDD. 4. Descriptive psychopathology of BDD. 6. Psychological aspects of cosmetic procedures. 7. Risk factors in the development of BDD. 8. Neurobiological aspects of BDD. 9. Learning theory models of BDD. 10. A cognitive behavioral model of BDD. 11. Evidence for cognitive behavior therapy in BDD. 12. Evidence for pharmacotherapy in BDD. Part B Assessment and Therapy. 15. Advice on cosmetic procedures.16. Imagery rescripting. 18. Modifying cognitive processes in BDD. 19. Avoidance, compulsive, and safety-seeking behaviors. 21. Habit reversal for psychogenic excoriation. 22. Behavioral activation for depression in BDD. Appendix 1 Diagnostic interviews and assessment scales. Appendix 2 Leafl ets and forms used during therapy. Appendix 3 Resources for BDD.